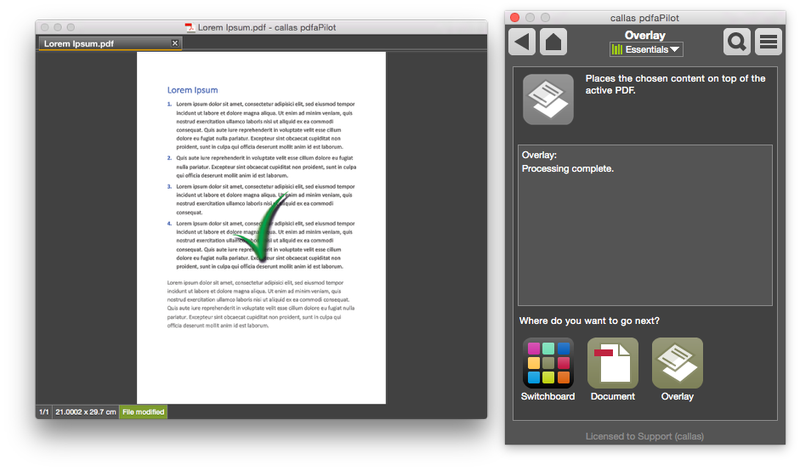 The Overlay action in the Document group lets you place content on a PDF document page similarly to a stamp. 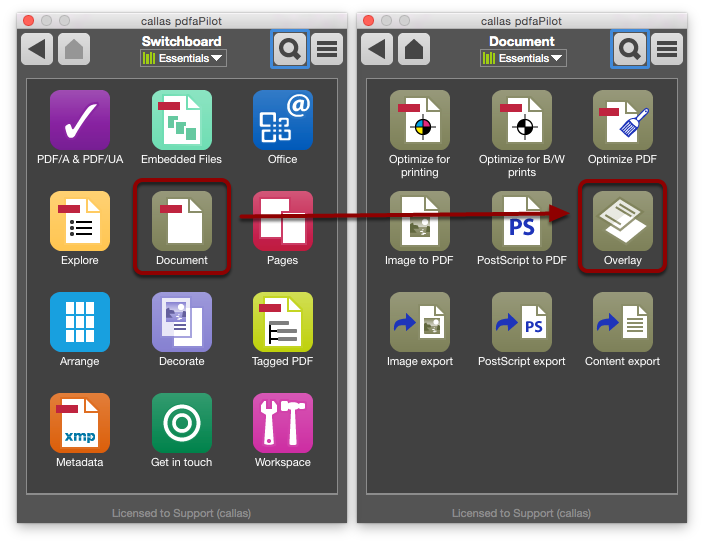 pdfaPilot provides a number of standard overlays, but the user can also apply their own overlays (as long as they are in PDF format). 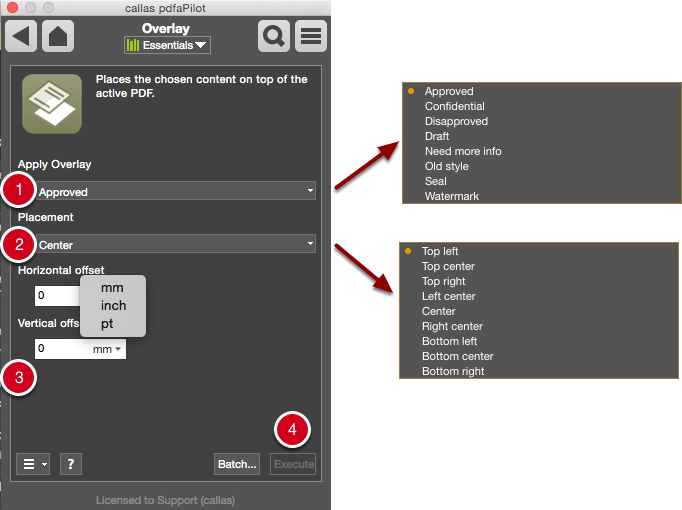 In pdfaPilot standalone, open the switchboard via Tools > Switchboard in the menu or use the keyboard shortcut Cmd+2. If you are using pdfaPilot as an Acrobat plug-in, you can open the switchboard via Plug-Ins > pdfaPilot <version number> Switchboard. 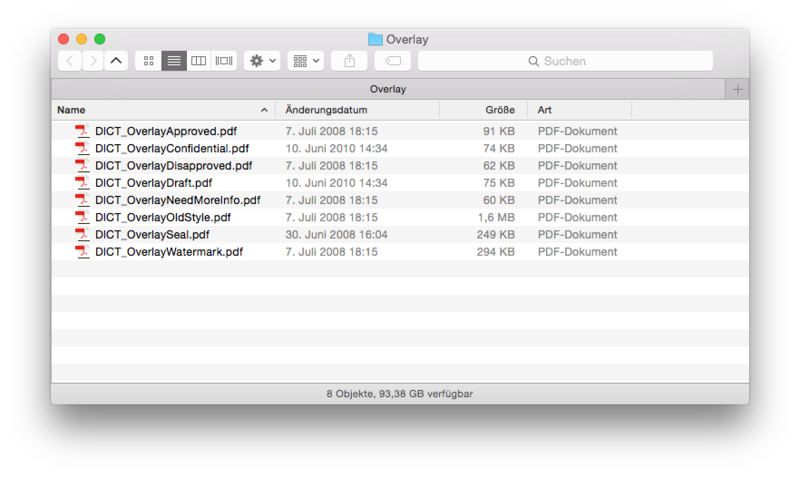 The Overlay Action is a part of the Document group. 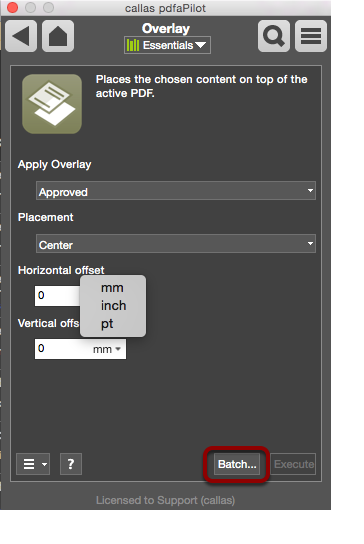 The Apply overlay menu provides a range of templates to choose from, including Declined, Accepted, Draft and others. 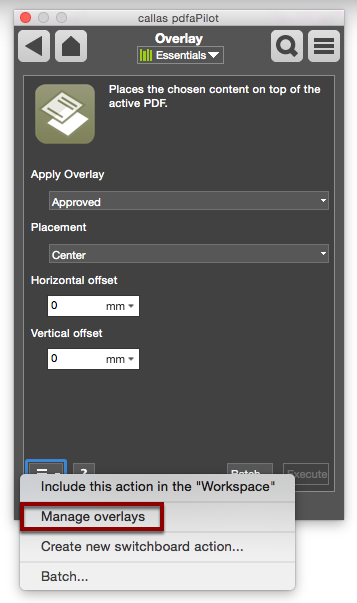 To make fine adjustments to the positioning, use the Horizontal offset and Vertical offset settings. The units can be specified in mm, inches or pt. 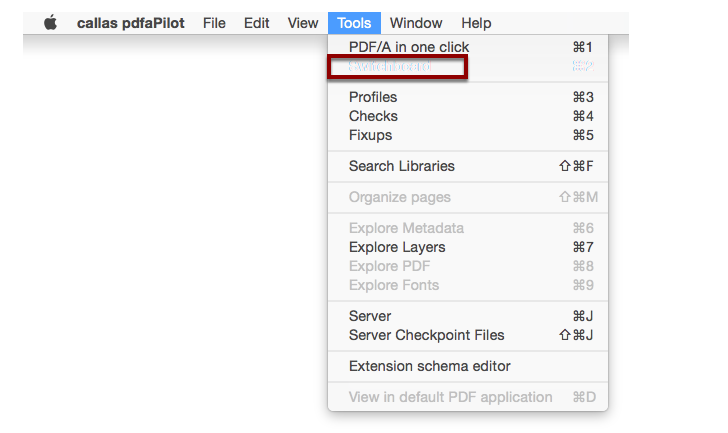 Click Execute to start processing the current PDF document. 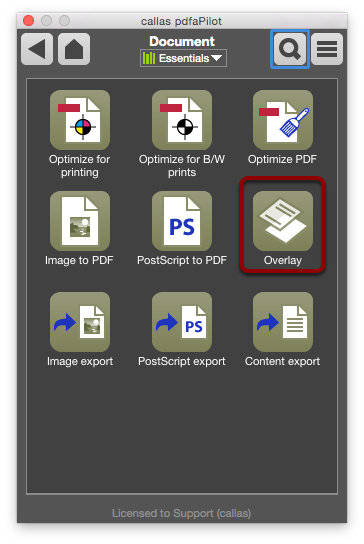 The overlay is placed on the PDF page. pdfaPilot will report that processing is complete. The Overlay Action can also be used for batch processing. To do so, click on the Batch button after applying the settings in the Action window. 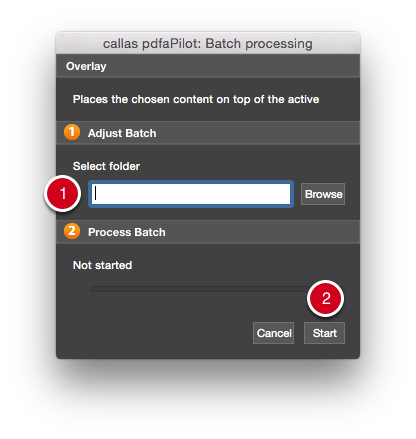 The batch processing dialog allows you to select the folder containing the files to be processed. Once this is done, click Start. 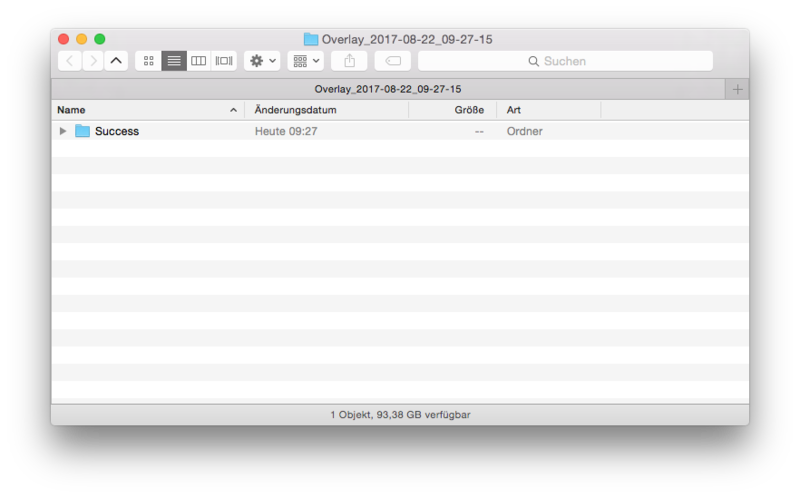 The resulting files will be stored in a folder named Successful, located in a timestamped sub-folder in the original files’ directory. The button at the bottom left lets you Manage overlays. Here, you can add your own templates. These must be in PDF format and have a transparent background. The user-specific templates will then be shown in the Apply overlay list next time you launch the Switchboard Action.